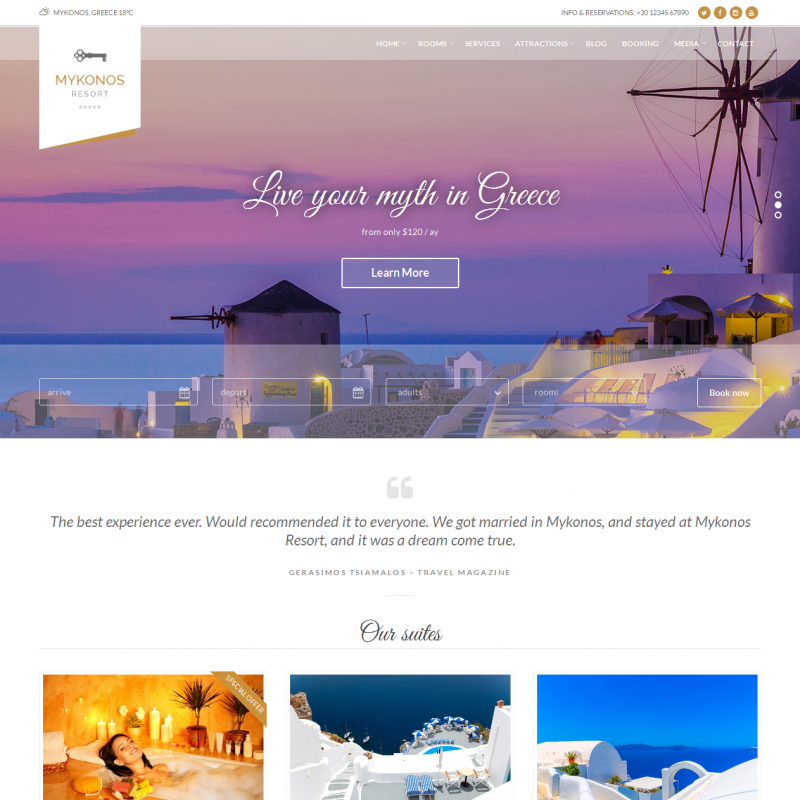 Mykonos is a premium WordPress theme. You may translate it to your language with Poedit translations editor. 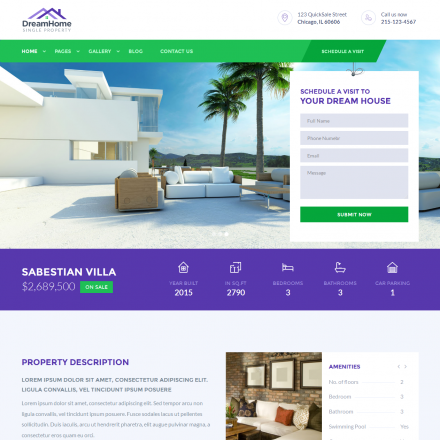 This awesome WordPress theme is exclusively designed for you to present you resort facilities or your hotel with style. The Mykonos Resort theme is combined with a unique system of widgets which helps you quickly design endless frontpage combinations. The Mykonos’s booking request form will help your visitors contact you and make reservations easily. 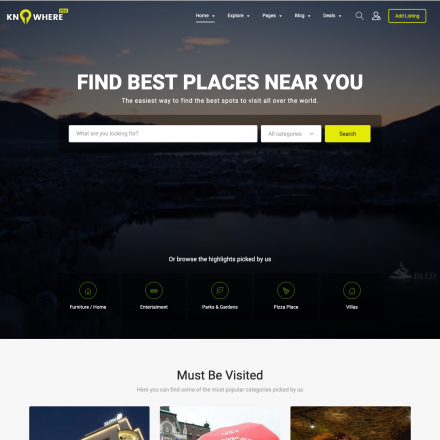 You can use various post types of this theme: room, slider, video, gallery, attraction, and services. Set up all the options of your website on the fly using the powerful settings of the Mykonos Resort theme. Mykonos is WPML-compatible and 100% translatable which is absolutely necessary for an international business such as hotels, resorts, and tourism. Enjoy the increased functionality and flexibility with custom widgets for content and social network integration.